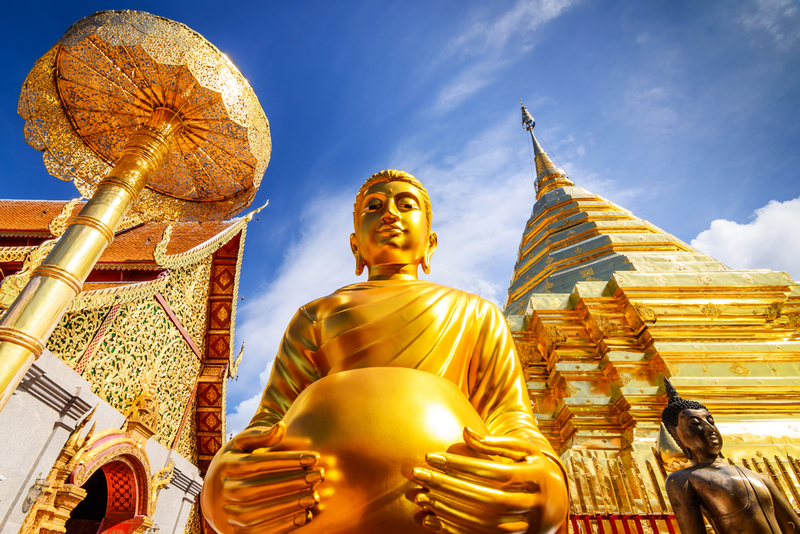 Save Up to $400 and Discover Thailand Treasures on this Escorted Tour! Seize the chance to encounter the best of Thailand at an excellent value. The 12 Day Classic Thailand Tour, with an exciting $400 MyDiscoveries discount, covers from top to bottom the rich natural and cultural landscape of this South East Asian gem. 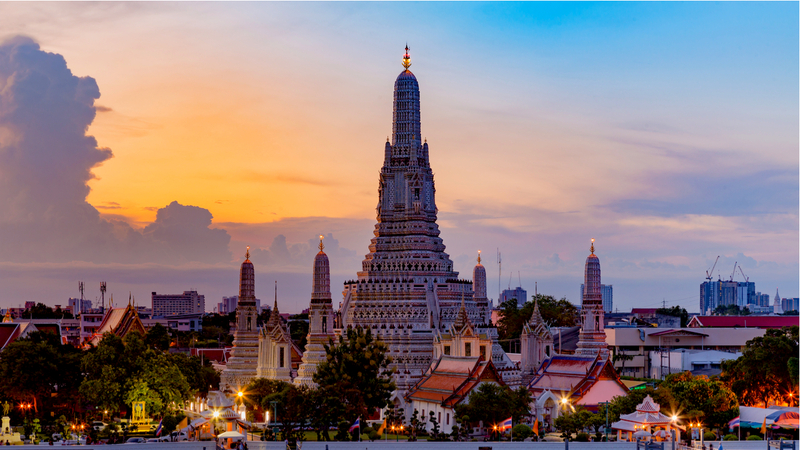 Busy yourself with the brilliant bustle of Bangkok and its scrumptious street food, Wat Pho temple and Grand Palace. Scope out Ayutthaya’s temples, step back in history in Thailand’s first capital, then traverse the ‘Golden Triangle’ where Thailand meets Myanmar and Laos. 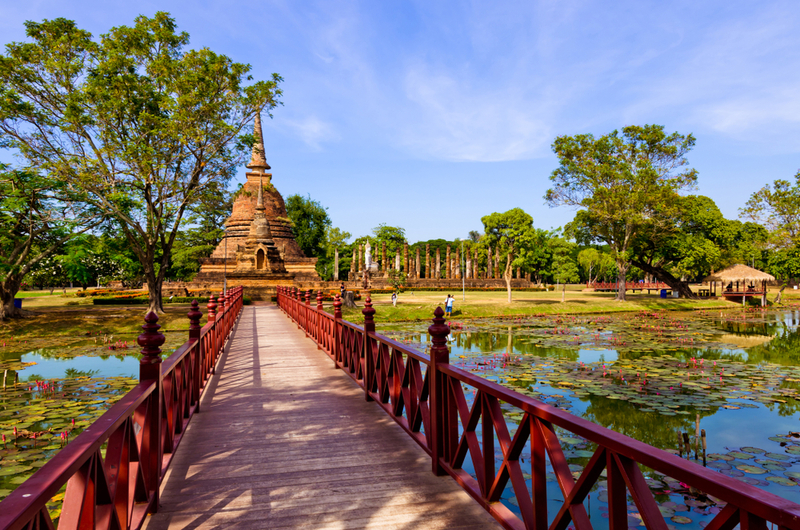 Chiang Mai will stand out for its ornate temples, Buddha holy relics and for delightful encounters with local families. Valid for travel: Multiple departure dates in 2019. Advertised price based on a 02 Nov 2019 departure from Sydney at time of publishing. Advertised price may vary and is subject to availability at time of booking. 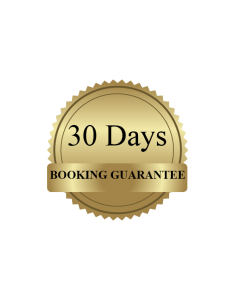 Airlines are subject to best available at the time of confirmation or may change depending on date of departure. If you need to cancel your trip after travel has been confirmed, the travel operator may impose cancellation fees. 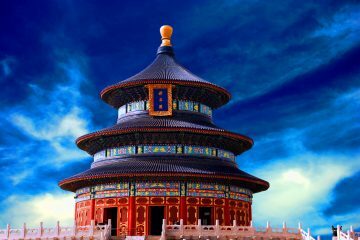 In addition, MyDiscoveries will charge a AUD $100 per person cancellation fee. 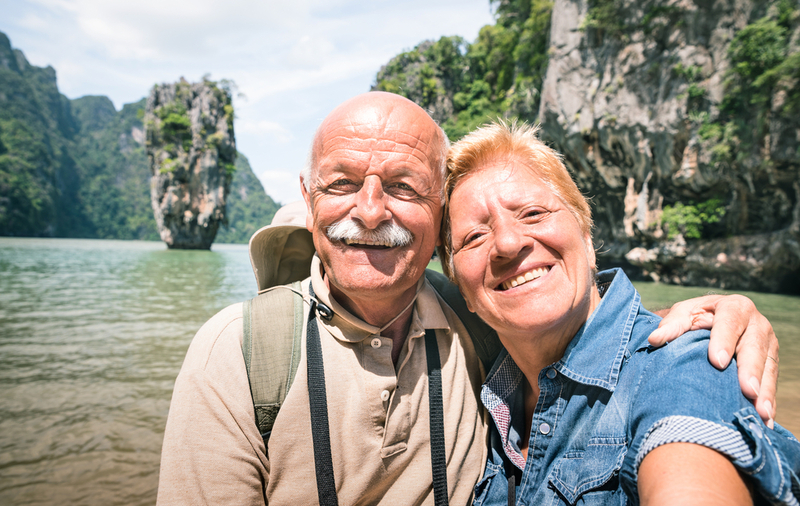 We recommend taking out travel insurance as soon as you have booked your travel dates so you have protection against emergency cancellations that might be needed. Depart for Thailand. 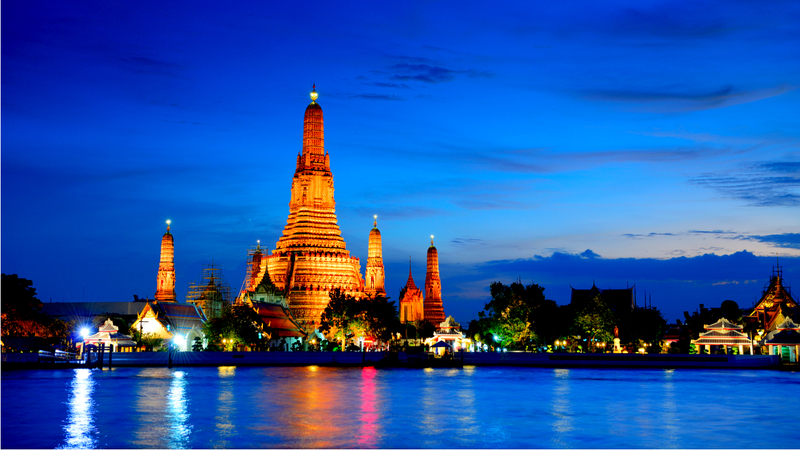 Arrive in exotic Bangkok, Thailand’s capital city; transfer to your hotel. The rest of the day is at leisure to rest, relax and acclimate to the new time zone. 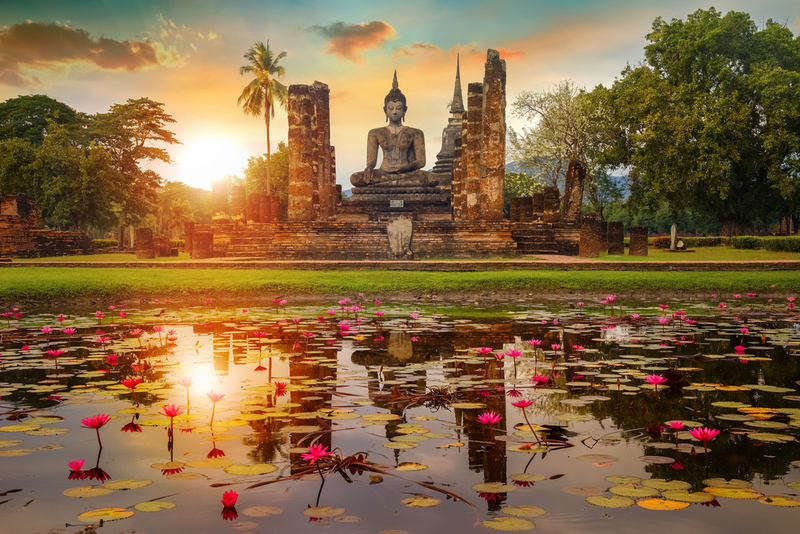 Depart Bangkok to Ayutthaya, the second Siamese capital after Sukhothai for over 400 years, once glorified as one of the largest cities in Southeast Asia. Ayutthaya Historical Park, designated a UNESCO World Heritage Site, lies in the center of the city. Here, you can see the ruins of the former capital and its remaining palaces, monasteries and towers – one can envision the grandeur and splendor that was once the Kingdom of Ayutthaya. Visit Bang Pa-In Palace, a collection of beautiful buildings in various architectural styles, surrounded by a lake. Originally built by King Prasat Thong in 1632, Bang Pa-In served as the Royal Summer Palace for the Thai Kings. Continue to the Chai Wattanaram Temple, built by King Prasat Thong to honor his mother, conceived as a replica of the Angkor Temple – this is a serene place where one can reflect and enjoy the tranquility. Tonight, gather together for dinner at the hotel. Explore this city that remained completely isolated from the world until the 1920s. Travel to the border town of Mae Sai, at the tip of Thailand. At this border crossing, arrangements may be made to enter Myanmar*. 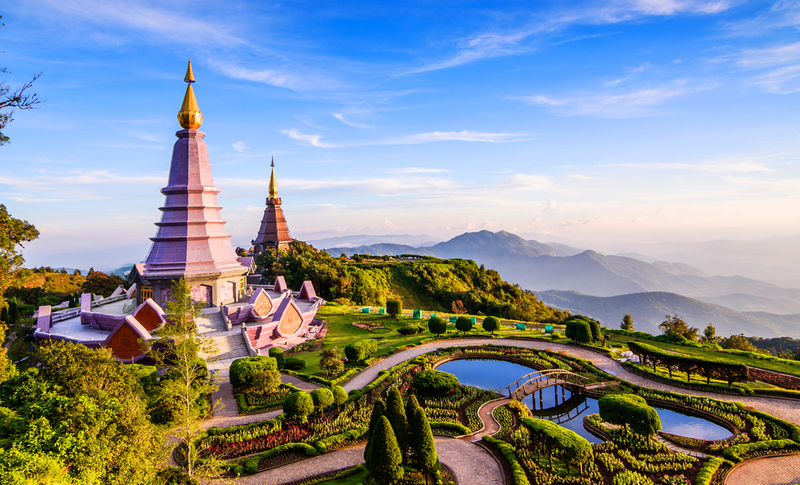 Ascend to the hilltop viewpoint to see the famous “Golden Triangle” of Southeast Asia – meeting point of the borders of Thailand, Myanmar and Laos. The locals call it “Sop Ruak”, as this is also where the Mekong meets the Ruak River. Savor a locally prepared lunch in a nearby farming village. Later, a short cruise then takes you along the banks of the Mekong to the small island of Don Sao in Laos; leisure time at the lively markets before returning to Thailand. Continue to the dramatic House of Opium at Golden Triangle Park, offering an informative exhibition on the history of opium which dates back almost 5000 years before returning to Chiang Rai for overnight *Entering Myanmar (Burma) requires a border crossing fee of approx US$40, payable locally. The opportunity to cross the border will depend on local conditions and cannot be guaranteed. If the border crossing is not possible, alternate arrangements will be made. Morning is at leisure when you have an opportunity to join the optional excursion to Mae Salong, still inhabited by hill people, namely the Akha, Long Neck and Salong tribes. Visit one of the tribes to see their unique way of life and learn more about their culture before driving to Chiang Mai, ancient capital of the Lanna Kingdom. En route, stop at a local gem gallery before arriving in Chiang Mai, cultural heart of Northern Thailand, located in the rolling foothills of the Himalayas. Spend the rest of the afternoon at leisure. Morning is at leisure to explore Chiang Mai independently or, join the optional Queen Sirikit Botanic Garden, established in 1993, as the first botanical garden in Thailand. Stroll through the lush grounds covered with exotic types of trees, plants and flowers. After your visit, stop for lunch at a local restaurant before returning to your hotel. In the afternoon, visit Sankampang Street, center of handicrafts, for on-site demonstrations on how the silk, lacquer, silver, wood and bronze wares are made. At the end of the day, pamper yourself with an optional Thai massage. Morning tour of the most interesting temples in Chiang Mai. Begin at Wat Suan Dok, where the remains of the Chiang Mai Royal family are enshrined. Continue to Wat Phrathat Doi Suthep, Northern Thailand’s most sacred temple, containing a holy relic of Lord Buddha. Equally impressive is the mythological Naga (dragon-headed serpent) staircase, with 290 steps leading up to the temple grounds. Visit to a local jade factory, followed by an afternoon at leisure to wander independently in Chiang Mai. Tonight, a unique experience. Join a local Chiang Mai family at an authentic Thai Dinner in their home. Enjoy a tour of the home, conversation about life in Chiang Mai and savor the great flavors of home-cooked food. 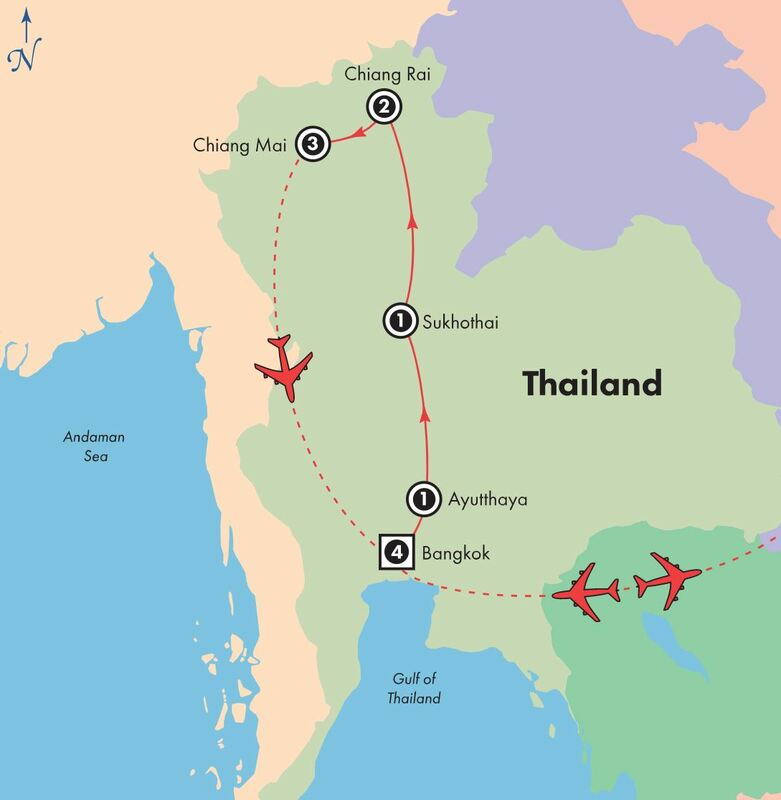 Depart Chiang Mai this morning on your flight to Bangkok; arrive and transfer to your hotel. The remainder of the day is at leisure to enjoy all of the delights of Bangkok on your own. Shop to your heart’s content, visit to the many amazing markets, and try some of the fabulous restaurants in this energetic city. 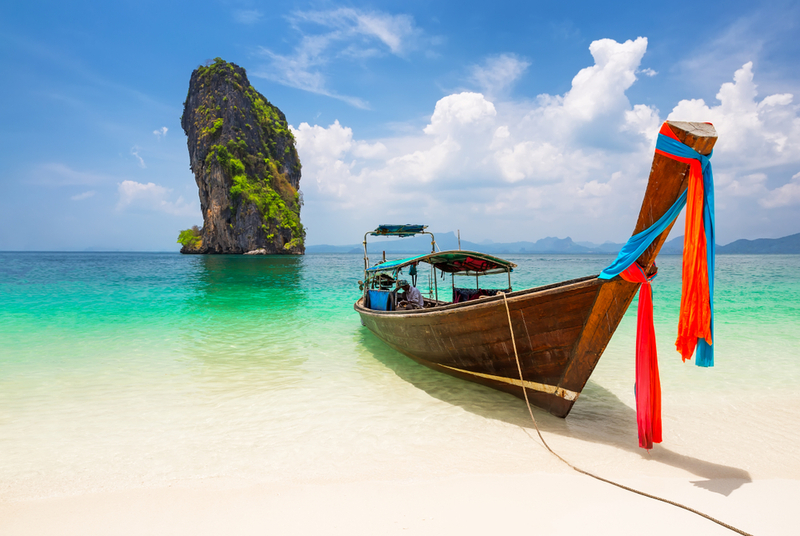 DESTINATION The heart of South East Asia, Thailand is a destination of excellent value, delicious cuisine, beautiful temples and friendly welcomes. 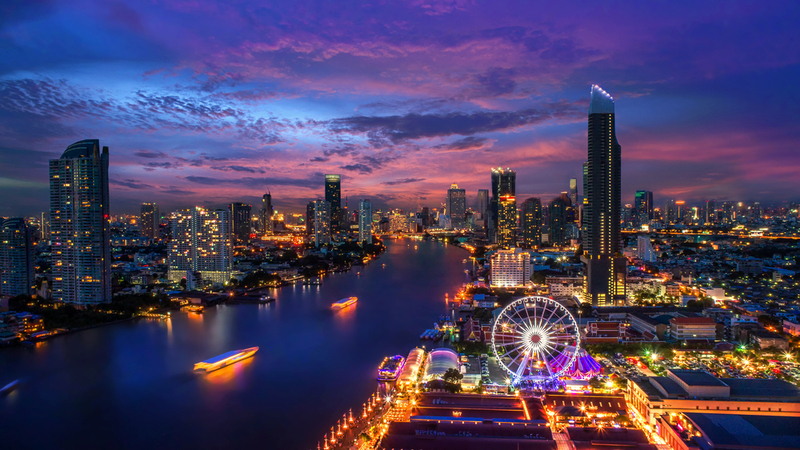 In beating cities like Bangkok, the air is full of sweet and spicy street-food aromas and ample opportunity for mall and market shopping. Deep greens of verdant jungle and crystal blues of island beaches combine with the golden shine of Buddha statues at the many beautiful temples throughout the country. You’ll be grateful for the chance to check in at Wat Pho in Bangkok, Chai Wattaranam in Ayutthaya and Chiang Mai’s famous temple complex housing a holy Buddha relic and a majestic ‘naga’ (dragon serpent) staircase. The best bit about Thailand is the smiling faces of its people, so enjoy the chance to share a meal in the home of a Chiang Mai family. FLIGHT Flights included in the deal! Start your holiday before you’ve even stepped on the plane with MyDiscoveries exclusive VIP package. WEATHER Thailand’s climate is tropical with a mean annual temperature of 28°C and high humidity. 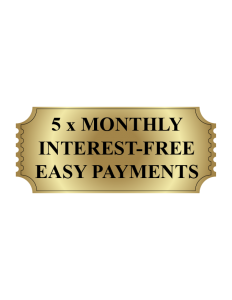 There are three distinct seasons – the hot season from March to May, the cool season from November to February and the rainy season from about June to October. What type of clothes should I bring? Bring comfortable walking shoes, a sweater, clothes you can layer, an all-weather jacket, and an umbrella.